Your bottom line can benefit from a healthcare liability insurer that makes things easier and helps you anticipate problems. ProAssurance provides consistent, single-source solutions and risk resources. You’ll experience greater transparency and differentiated claims handling—that’s only fair. Call 800.282.6242. ProAssurance Group is rated A+ (Superior) by A.M. Best. 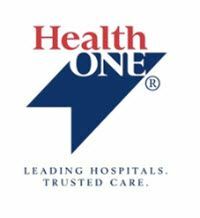 HealthONE is the largest healthcare system in the metro Denver area with more than 10,000 employees. HealthONE includes, The Medical Center of Aurora, North Suburban Medical Center, Presbyterian/St. Luke’s Medical Center, Rocky Mountain Hospital for Children @PSL, Rose Medical Center, Sky Ridge Medical Center, Spalding Rehabilitation Hospital, Swedish Medical Center, Airlife, 14 stand-alone ambulatory surgery centers, numerous imaging centers, 6 Occupational Medicine and Rehab clinics and 62 Primary Care and Specialty Clinics. HealthONE Physician Care includes 62 Specialty and Primary care practice locations in the Denver metro area. HealthONE Physician Care is as diverse as the patients our practitioners manage. We employ 204 physicians, physician assistants and nurse practitioners who specialize in family practice, internal medicine and a vast array of subspecialties. All members of our team share a commitment to high quality medicine, good citizenship and, above all, patient-focused medical care. Computer Concepts has been offering IT Healthcare solutions to our clients since 1993. Locally owned and operated we offer the most cost effective private cloud managed services in the industry. Our mission is to take over the Infrastructure and IT demands placed on our customers incorporating solutions that include onsite field support services, remote support, HIPAA IT Security solutions, and tier-2 vendor support for all your medical applications. Our extensive experience with healthcare systems, allow you and your staff to focus on patient care, while we focus on the Technology. MedExec is a Colorado based comprehensive practice management firm serving physicians to provide them a competitive edge. The service is unique to the medical industry. Most services look only at your accounting and bookkeeping. MedExec focuses on comprehensive and practical team management of financial staff resources designed to improve overall business effectiveness. The MedExec consultant provides continual evaluation, review and makes recommendations to enhance your practice's growth and profitability. MedExec develops awareness of the practice's potentiality through this continued consulting commitment. infusion of funds, seek to improve your revenue cycle metrics, streamline payment processes or pursue strategic opportunities, we provide customized solutions and services. Through Bank of America Merrill Lynch’s Wealth Management Services, we can also support the practice’s employees through the provision of banking, retirement planning, HSA’s and 401k plans, as well as with wealth management solutions for your physicians and their families. HMRx Healthcare Advisors provide healthcare management resources for physician groups and ambulatory healthcare services. HMRx partners with medical practices to offer a wide array of services to physicians and their staff. Our services are customized, based on the needs identified by our clients. HMRx helps medical practices operate as efficient, competitive and profitable businesses. HMRx Healthcare Advisors have decades of experience in the fields of medical group and hospital management, and business development. At Digital323, we’ve learned to work with multiple physicians’ offices to help them understand and implement the best practices of IT without disrupting the way in which they run their clinic. Our desire is to give our medical clients the best possible experience with their IT by providing them with Concierge style service. We build strong, lasting relationships with each office and make every effort to understand how your clinic is run, what your unique IT needs are, and implement a holistic IT solution – we truly become your in-house CIO. Our professional and incredibly courteous staff is made up of individuals versed in various EMR/EPM technologies, digital radiology, and is aware of the challenges of HIPAA and achieving meaningful use with your Healthcare Technology. Just as your practice is concerned and committed to providing the best possible care to your patients, we are concerned and committed to providing your practice with the best possible IT solutions and management possible.